This is borrowed from Dinner With Julie, who notes who she borrowed it from on her website – but it’s also very close to the ‘Lemon Pudding’ recipe in the Best of Bridge. 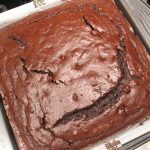 I prefer this one however, it’s slightly more cake-like and the first bite is an unexpected experience – I also think that it would be wonderful served cold, but the one I made didn’t last that long. Preheat the oven to 350, grease an 8 x 8 pan, find a 9 x 13 pan and start up a full kettle of water to boil. Next, using your electric mixer, beat the 4 egg whites until soft peaks form, and then as the mixer continues to beat, gradually add a 1/2 cup of sugar. Beat until the mixture turns glossy and forms stiffer peaks, then scrape it all into the buttermilk bowl and gently fold everything together. Pour into the greased 8 x 8 pan, pour the hot water into the 9 x 13 pan and then very carefully set the pudding pan into the water. 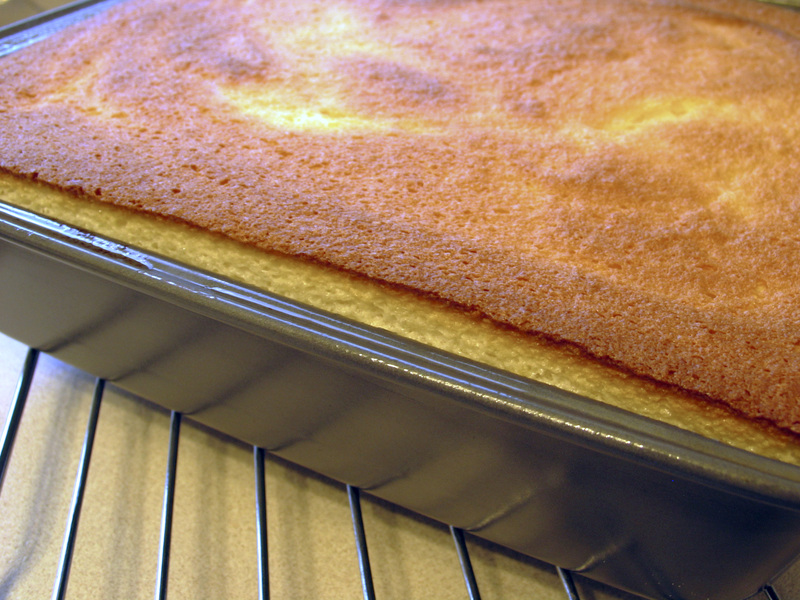 Bake for about 45 minutes until the cake is beautifully puffed and golden – it will look cooked. Remove the cake from the water bath and let cool for about an hour if you want to eat it warm. If it’s too warm, it will disintegrate. So good!